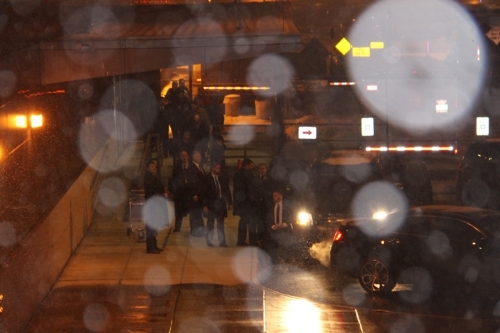 WASHINGTON, Jan. 17 (Yonhap) -- A senior North Korean official arrived in Washington on Thursday apparently for negotiations with Secretary of State Mike Pompeo on a second summit between the two sides. It's the first time that a North Korean government official has flown directly into the U.S. capital without any stopover in another U.S. city. 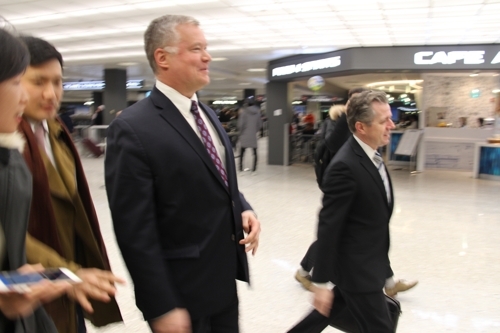 He left the airport through a side door, accompanied by what appeared to be U.S. and North Korean officials, including Stephen Biegun, the U.S. special representative for North Korea. He will also likely pay a courtesy call on U.S. President Donald Trump and convey to him a letter from Kim Jong-un. U.S. Vice President Mike Pence said Wednesday that the North has yet to take "concrete steps" to dismantle its nuclear weapons. The last senior North Korean official to stay in Washington overnight was the late Vice Marshal Jo Myong-rok, who visited the U.S. capital in October 2000 and met with then U.S. President Bill Clinton.